When life is as dysfunctional for us as it was for Jacob, there is one thing we can remember above all else. God is with us. He has never left us alone and he is ALWAYS with us. 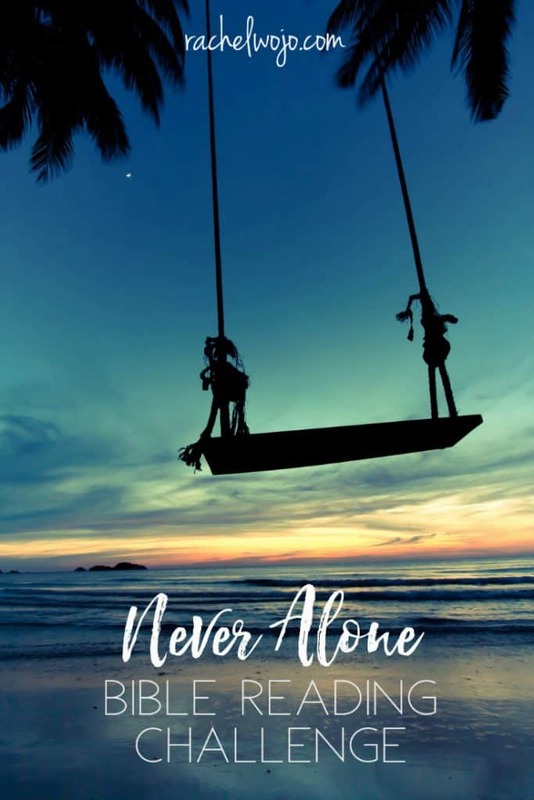 You are never alone. What if you took a month to focus on God’s promises that he is always with you and never leaves you? 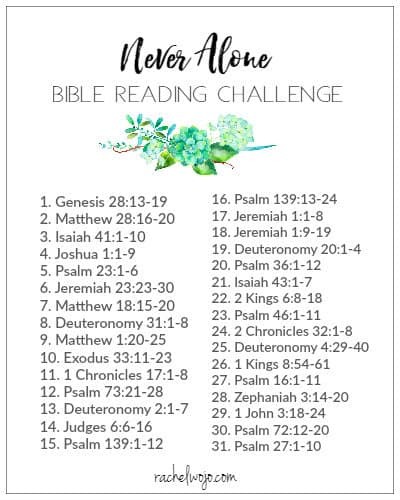 I can’t wait to see how the May Bible Reading Challenge encourages our hearts! 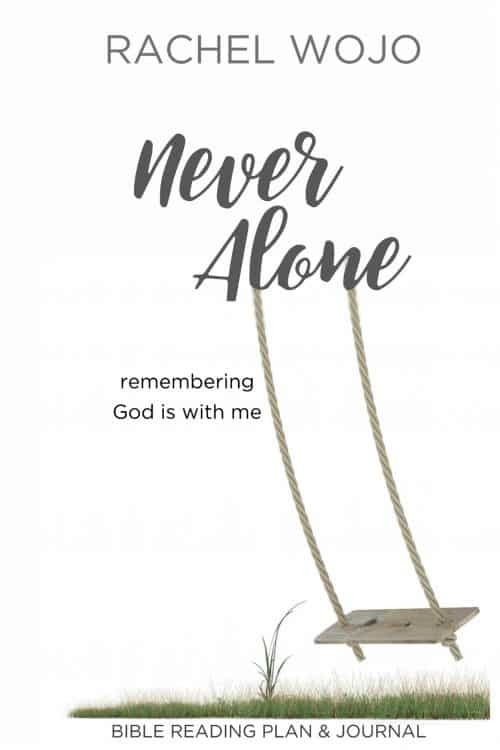 For this month, we will use the hashtags #neveralone and #biblereading. Almost every day, I post on Instagram or Facebook about what I’m learning through the passages and sometimes I post the Bible journaling pages I work on throughout the study. This is my third Bible plan and journal. Perfect Peace came at a time when I needed peace in my life! As always through this study God showed me just what I needed. I will continue with these wonderful daily studies as long as they are available. Who’s in for the challenge? We begin May 1st! I have loved all of your bible study resources and shared them with my women’s bible study group at our church. Thanks Kelly!! Many blessings to you and your ladies!! I’m in though late but will look to cover up for yesterday.